With the weather getting warmer, that means that the bugs are not too far behind. 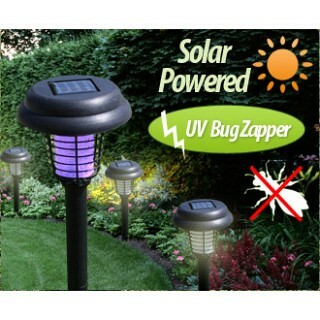 Right now you can get a Solar LED Garden Bug Zapper for $12 or 6 or more for $9.99 each! Plus, shipping is free. They retail for $24.99.